When I was asked if I would like to try 'Victory Tea' I jumped at the chance. I love tea and am quite discerning in my tastes. We generally drink Assam tea for our daily brew and, as we don't put milk or sugar in our tea, the taste is really important. Victory Tea comes from Rington's Ltd, it's a family firm and Victory Tea is the idea of Sarah Holmes, the fifth generation and first female of the family to hold a senior position. Sarah wanted to provide her customers with a premium quality, cost effective tea, cutting out the supermarket middleman. 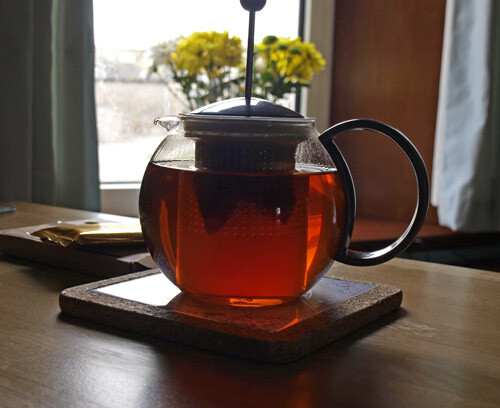 I brewed up a pot of Victory Tea this afternoon and put it to the test. I would say it is a good everyday tea, it has a pleasant taste and no bitter aftertaste. It certainly compared well with our usual Assam and it passed the acid test - the remaining bags went into the tea caddy! 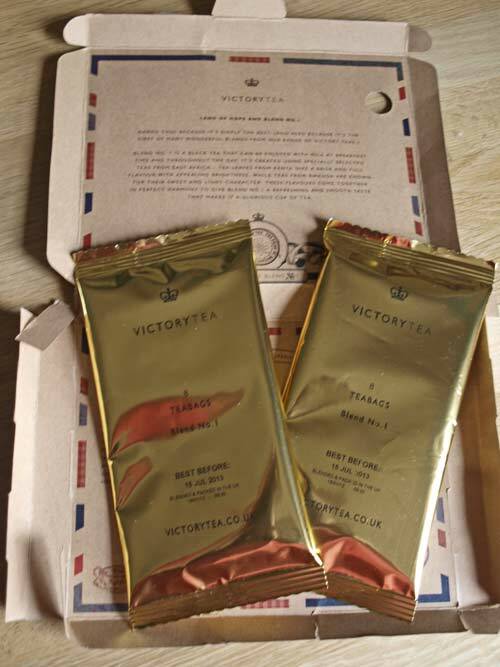 You can get a trial pack of 16 teabags direct from Victory Tea for £1.50; the Superior Box contains 640 teabags and costs £16 and the Victorious Box contains 1600 teabags and costs £30 which works out at £1.50 per 80 teabags. The more teabags you buy the better value you get. There's a 'cuppa calculator' which helps you work out how much you can save. Victory Tea is not a budget brand, the price comparisons are with premium brands, they can make these savings because they sell direct. And if you want to buy British, Victory Tea is blended and packed in the UK. Would I buy Victory Tea? Probably not, and my reasoning is that while we enjoy tea, we simply don't drink enough to make it worthwhile. There is also the issue of storing the tea, however have a look at the website and make up your own mind. Disclosure Statement: I received atrial packet of Victory Tea for review. I was not required to write a positive review. The opinions I have expressed are my own. The prices are correct at time of posting. FABULOUS colour, I am a tea snob and that is a GOOD clear colour for a good tea!